Podcast is one of the most interesting innovations on the web. Usually technology pioneers trying to share their knoweledge or products to gain more attention or to earn more money. 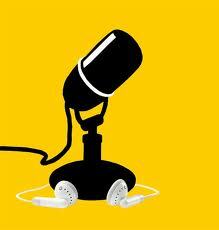 Some ones creates podcast in order to teach something freely or to challenge a technology. Podcast is a good way to share something with a group of people. I was looking for an Audio Book and I faced with a bunch of good references, so that I decided toshare these references with you. These are some weblogs or websites in which you can find programming related podcasts or audio books. Please Share Persian Software Development Podcasts link withus,If you know one. 1 – http://www.hanselminutes.com , Scott Hanselman is one of the most famous ones in the web who spent his time on producing greate podcasts. I personally usually listen to his podcasts. I wish he keep doing goods. 2 – http://www.dotnetrocks.com , If you have to choose only one website to follow, I strongly recommand this one. Greatest .NET pioneers are the guest of podcasts. 3 – http://blog.stackoverflow.com/category/podcasts , Stackoverflow is growing everyday, Jeff Atwood and Joel Spolsky publish a weekly podcast that you will get familiar with the nowadays issues. For sure you will amazed that how they are challenging. 4 – http://channel9.msdn.com , Microsoft is one of the leaders in software industry, and try to broadcast it’s developing from the inside out. The project managers talk about their projects and show you what will release in near future. It is one of my favourites. 5 – http://www.se-radio.net , Software Engineering Radio is one of those who want to challenge the software engineering issues. 6 – http://thirstydeveloper.com , Dave Bost and Clark Sell, usually goes in deep and speak very technical, they are really serious about their job. 7 – http://elegantcode.com , You can find lots of different topics here. 9 – http://www.pluralsight.com/community/blogs/pluralcast/default.aspx , I couldn’t underestand that they want to go in detail or just introduce something. 10 – http://www.pragprog.com/podcasts I really like the subjects and interviews. 11 – http://polymorphicpodcast.com , David Starr is one of those who create podcasts about his interests. His podcast are not too much and he produce podcast a few. 12 – http://altnetpodcast.com , I just can say delicious podcasts. 13 – http://www.sparklingclient.com , It could be one of the greatest websites which produce podcasts for Silverlight. 14 – http://www.webdevradio.com , A good resource for web development. 15 – http://agiletoolkit.libsyn.com , As it is obvious they works on Agile toolkit. This Post at StackOverFlow will help you to find a categorized Podcast websites.